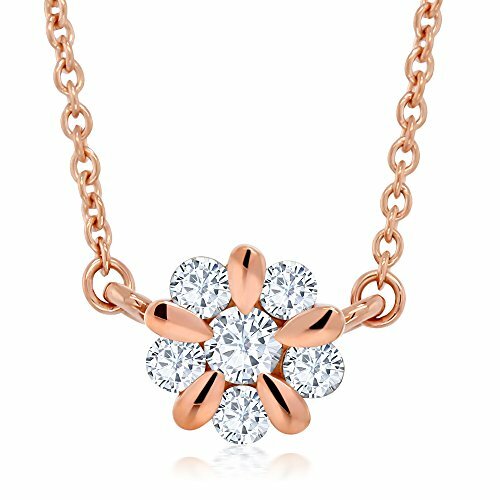 Close to 1 ct tw 14K gold necklace which is like a diamond loop around a flower cluster made from larger diamonds in the center. 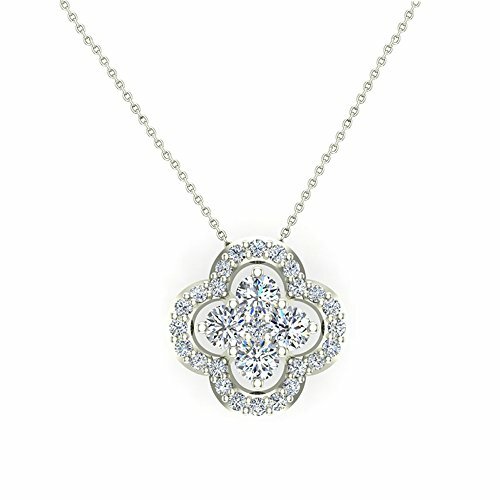 This is a trendsetter diamond necklace and a beautiful example of an optical illusion from small and large diamonds. 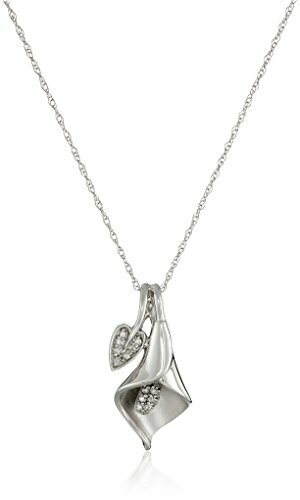 An ideal gift for a beautiful friend or family for any occasion. 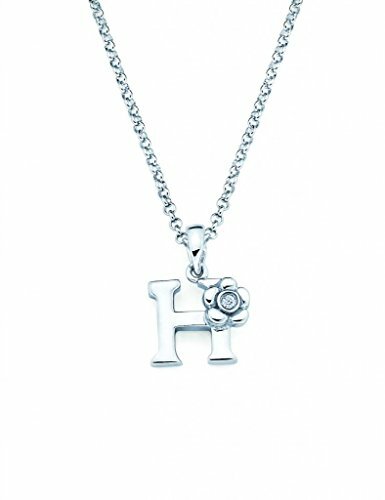 This may be purchase with or without a link chain that has a spring ring clasp. 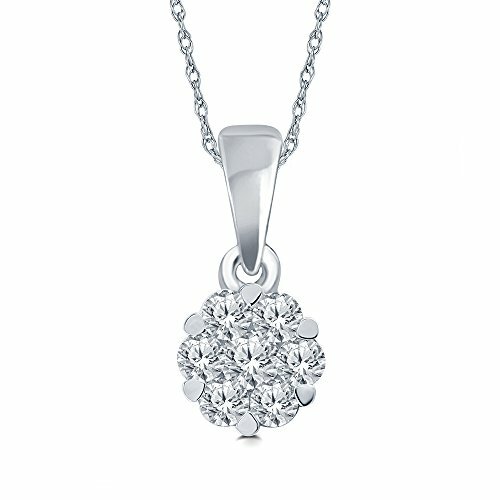 The available lengths of the chain are 18" & 20" so that it meets your dressing needs. 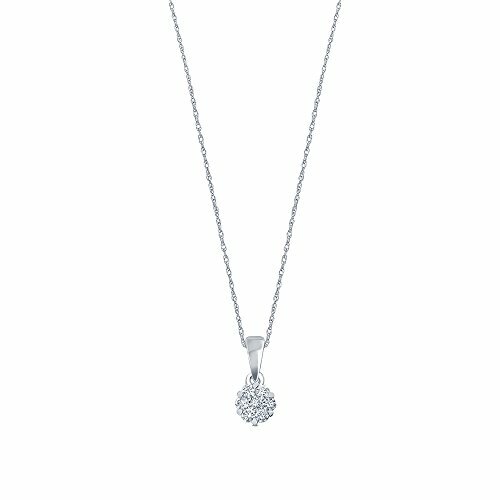 Sterling Silver White Diamond Flower Pendant Necklace (1/4cttw, J-K Color, I2-I3 Clarity), 18"
This elegant pendant showcases 7 brilliant-cut round diamonds, of IJ color and I2 I3 clarity, set in a 10K white gold Pear prong-style setting. 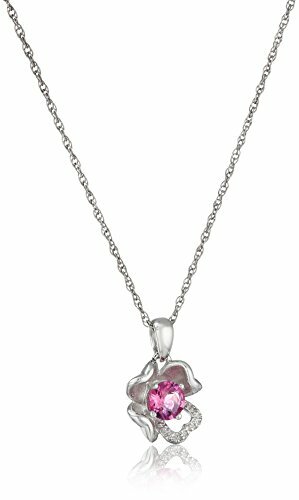 Sterling Silver Created-Pink-Tourmaline and Diamond Accent Flower Pendant Necklace, 18"
Little Diva Diamonds features this adorable Sterling Silver Diamond Accent Initial Pendant Necklace for that special young girl. 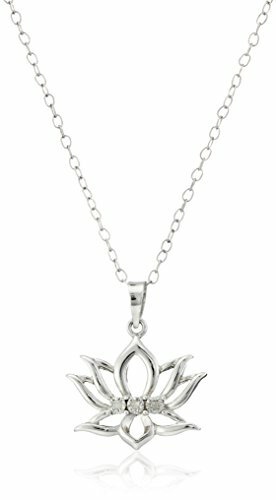 Chain is adjustable from 14 inches to 16 inches. Pendant comes ready to gift in adorable pink packaging.